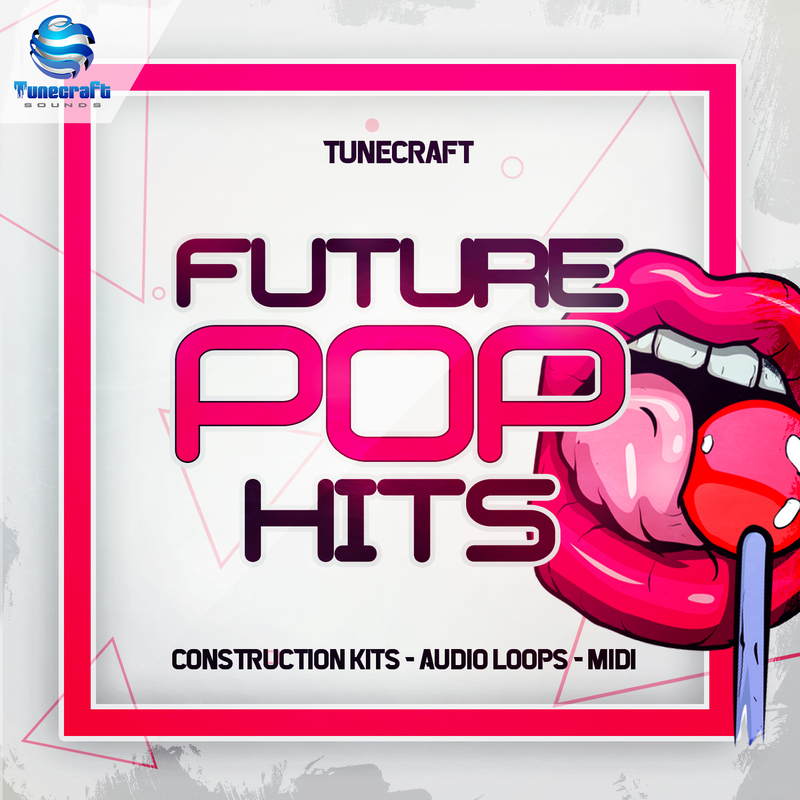 Tunecraft Future Pop Hits is an essential collection of stunning construction kits, cutting edge audio loops and midi files for contemporary EDM and electronic pop music producers ! This pack first features 5 construction kits broken into stems for maximum flexibility: adapt any structure, edit each part to taste, add a vocalist, or rework these tracks to your specific needs using midi files with no fuss ! If you’re not much into using construction kits, we also added more than 200 expertly crafted loops to work with and fuel your imagination instantly with creative ideas. Finally you can expect to find 50+ drum hits, as well as a bonus collection of audio loops and midi files sized for the genre to start new tracks from scratch. We made sure pack contents are perfectly labelled by keys, tempo, kits and types to make them extremely easy and intuitive to use during your production sessions. So let’s kick start this trending genre today with this brand new pack !